If you currently own and operate a text message marketing list, you know how important retention rate is. If you lose out on subscribers, you lose out on business. Text message marketing is a great way to maintain and strengthen customer relationships, but when someone unsubscribes, you miss that chance. More than anything, text message marketing is all about providing your users with something of value. If you aren’t giving them valuable information or exclusive deals via text communication, chances are they will lose interest. 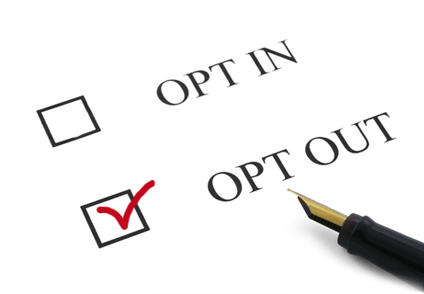 If you’re reviewing your detailed analytics within a campaign, and see that the unsubscribe rate is at an all time high, here are 3 great ways to decrease the number of opt outs. 1. Make sure all promotions are exclusive to your text marketing list. No one wants to get marketing messages sent to their phone if these messages are not exclusive to this channel. It is pointless, and this is one of the biggest reasons why people unsubscribe. 2. Reduce the amount of campaigns you send, keep messages short and sweet. This is two part advice, but both rules go hand in hand. Sometimes, people will unsubscribe because they feel like you are overwhelming them with unnecessary spam. Other times, they may subscribe because you offer no clear call to action in your message, and/or the text may be confusing. Try to limit your campaigns to once a week, unless you have a specific need for something otherwise, and keep messages simple and direct. 3. Always reward subscribers for their loyalty. This goes in line with offering exclusive promotions. Reward subscribers for their loyalty by taking advantage of our personalized features. Send each subscriber an automated message on their birthday with an exclusive promotion. By keeping it personal, subscribers will feel like you actually do care about them and their satisfaction. Ready to get started with one of the best text marketing companies around? Give us a call today at 1.800.688.6290.